The Mortgage Lender Benchmark, the largest independent broker survey of mortgage lenders carried out in 2018, is released today. Some 391 brokers responded to our call to rate the last 3 lenders they'd dealt with, and therefore 1,173 pieces of feedback were collected across 79 lenders. Brokers left feedback on both the service and products offered by lenders. A full copy of the report, which includes full SWOT analysis on 32 lenders, is available for purchase. A summary report is available to all, and can be accessed here. Mike Fotis, founder of Smart Money People said, “Brokers told us clearly that frustrations with lenders’ underwriting, customer service, speed to completion and clarity of criteria rankled them most. It will be interesting to see if lenders at the bottom of our league table are able to improve when we repeat the survey again in 2019." Brokers were asked to assess the last three lenders they had dealt with. The 1,173 pieces of feedback, which referred to 79 lenders, delivered ratings about the clarity of lenders’ communication, ease of determining product eligibility, and speed to offer among others. Brokers also left net promoter scores (NPS) and overall ratings. 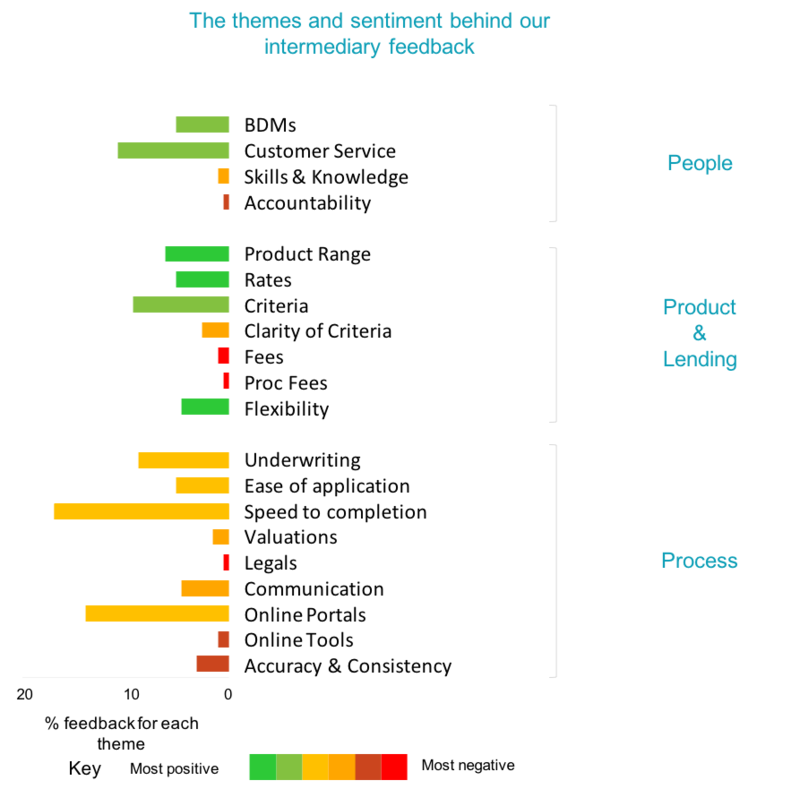 Verbatim responses provided brokers with a way of describing what they like and do not like about particular lenders. CYBG & Virgin Money: A match made in heaven?